A year has passed since we launched the award winning Toyota GT86 here in the UK, and to celebrate we’re going to throw a very special party for some lucky owners. 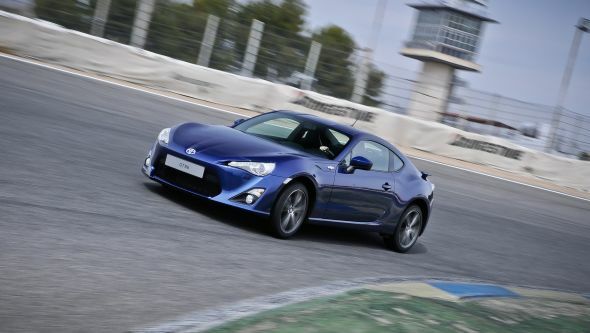 We’re inviting Toyota GT86 drivers to join us for a get together with a difference… and could think of no better celebration than to offer the chance for people to bring their cars to a GT86-only track evening. To enter, just head for the competition page at toyota.co.uk. The event will be held on Thursday, 27th June 2013 at the popular Bedford Autodrome. We’ve got space for 40 cars and drivers, and every driver can bring a guest. The event will open at 4pm, and end at 8.15pm. The action on track will take place over three hours. We have arranged for an open pitlane, and we’ll lay on the drinks and food. And with sessions on the 1.8-mile circuit each lasting 15-minutes, there will be no shortage of driving time. As if this wasn’t enough, a mystery guest has been arranged to attend, while reporters from Toyota’s customer magazine ‘This Way…‘ have been commissioned to capture the excitement of the event for an article in a forthcoming issue. We would love you, and your GT86, to join us for this special evening.